We take dead aim on that and forget about everything else. Imagine a steady stream of prospects for your company. Our economy is moving onto the Internet. Rather than becoming a victim of the Internet revolution, profit from it. The old adage that a business can build a better mousetrap and people will beat a path to your door doesn’t work anymore. What people do is beat a path to Google and see what comes up. That’s why getting your company in the top of Google! 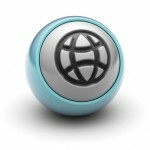 Internet Man offers Search Engine Optimization to the general public for a low hourly rate. We know from years of experience you have to deliver the right content using the right file name. If you’d like us to look at your site and develop a plan to get it ranking better click the Contact Us tab above! Two thirds of all Internet users use to Google to find things. That’s more than double everyone else put together. If you want to prosper get your business in the top 3 pages at Google. We are living in a Google-centered world. Like it or not, most of your traffic will come in from Goog-father. If your site becomes popular on the web it will be due to a high ranking at Google. 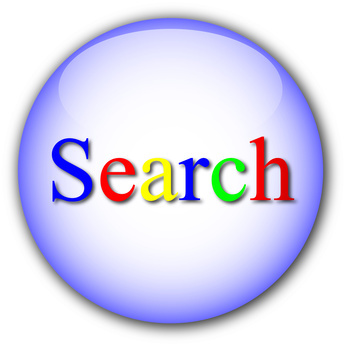 Over two thirds of all web searches are performed at Google. Therefore everything we do will be geared to getting you a high ranking in Google search results. There are a few basic web marketing things we do for all customers. These are your basic no-brainer things that all sites should do. This is basically a matter of getting your site tied in at Google. Google provides a Webmaster Console to any webmaster that asks. It is simply a matter of signing up and validating the site. If Google offers this free capability, it only makes sense to take them up on it. Webmaster Console is Google’s way of making it easy for them to index your site. Indexing the site means picking it up and adding it to their search database. That’s good for us. Every site we do we make sure that it is signed up and verified through Google’s Webmaster Console. Then we go back and check to see how many of your pages Google picked up in it’s index. As a companion tool to Webmaster Console, Google offers Analytics. Google Analytics is Google’s free web site statistics program. Google Analytics is another no-brainer capability offered for free. We make sure that all our web sites have Google Analytics. Most web companies offer Web site statistics with their web hosting. The included web stats used to be the best way to check performance of your site. Not any more. All in-house web site statistics have been superceded by Google Analytics. It is that superior. Google offers Analytics primarily for their paid customers. It is in their best interest that their paying advertising customers have an accurate way to check performance of their sites – and their running ads. While intended for paying customers, anyone can use it. It is simply a matter of signing up at Google and adding your specific analytics code to every page of the site. These are things we do for you. Once this is done, you’ll have the best site statistics there is. We will make sure that your site has a Google Webmaster account and a Google Analytics account. Then we take the extra step of tying the accounts together. Then you end up with an Analytics account that tells you detailed information about site performance and also tells you what people are searching to find you. These two things – Google Webmaster and Google Analytics – establish the web marketing foundation for your site. From now on, everything we do will be geared toward getting you more traffic and getting you established as a go-to place on the web for your field.